Rising at a height of over 4,300 meters (14,000 feet ) is Mount Ranier, considered as one of the most dangerous active volcanoes in the world. Though its most recent eruption dates back between 1820 and 1854, it is predicted that if Mount Ranier would erupt today it would result to a massive devastation greater than Mount St. Helens’ in 1980, because of its significantly larger amounts of glacial ice locked within its cone and the more heavily populated areas surrounding the volcano. However, while Mount Rainier hasn’t erupted and destroyed the nearby counties of Washington just yet, it offers its helpless future victims an astounding visual treat on a certain special time of the year. 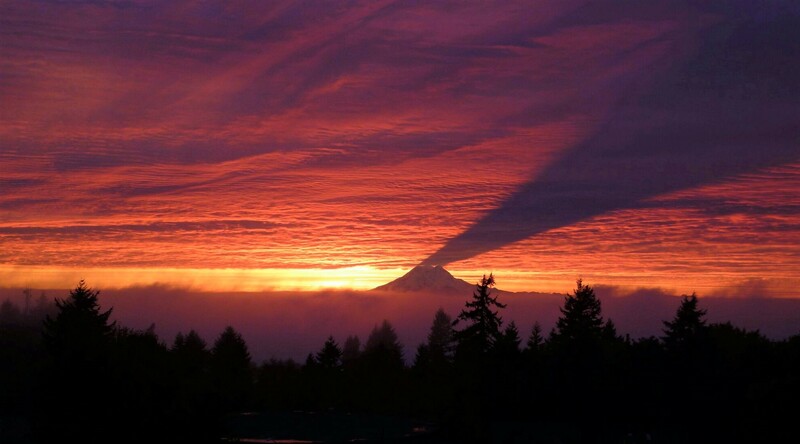 As the sun rises farther south during the winter solstice (between fall and winter), it comes to a perfect position casting its first morning rays behind the volcano thus creating an unforgettable sunrise scene: Mount Rainier casting an upside-down shadow on the cloudy sky above. This phenomenon only happens when environmental conditions are perfect, with chances hopefully higher (we’re crossing our fingers) than that of the volcano actually erupting. 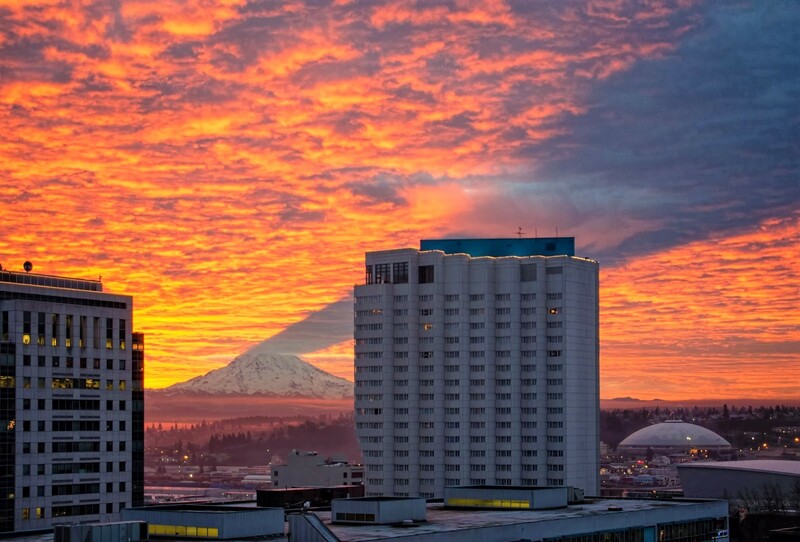 Aside from the sky-shadow, Mount Rainier also occasionally displays lenticular clouds hovering its summit like UFOs.